In 2002, I ran the Grand Slam of Ultrarunning and chronicled my entire journey from Western States to Wasatch online for UltraRunning Magazine. In doing so, I wrote that I was administered an IV after finishing Western States and was given supplemental oxygen after completing Leadville. The online ultra community at the time consisted of the ULTRA List (a listserv that enabled ultrarunners to easily communicate ultra-related information). Upon hearing that I had used these recovery techniques, practices that if used during any single event would be grounds for disqualification, some of the ULTRA List subscribers believed that my Grand Slam should therefore be declared invalid since I still hadn’t finished all four races. A few months later, a longtime friend and fellow ultrarunner visited me in Moab, Utah. Our conversation turned to injuries and recovery. He said he (and others he knew) frequently used dimethyl sulfoxide (DMSO), a pharmaceutical topical solvent that eases pain and reduces inflammation, to heal or mask a muscle injury so he could keep training and racing. Post-race IVs and oxygen seemed innocuous enough, but this was my first conversation about using chemicals to enhance recovery. I soon discovered that it wasn’t uncommon for ultrarunners to use prescription painkillers, marijuana, testosterone, insulin, and thyroid medications: drugs that not only improved recovery, but could boost performance as well. Some runners had bona fide medical issues that required the use of these substances, but was this the case for everyone? And if it wasn’t, did it matter? These days, my coaching athletes ask my opinion on what they should and should not do and what they can or cannot use. The answers to their questions aren’t as simple as you’d think and here’s why. Examples of PEDs run the gamut from steroids (testosterone) to hormones (erythropoietin or EPO, human growth hormone or HGH, insulin), diuretics (glycerol) to stimulants (large amounts of caffeine, cocaine, epinephrine) and narcotics (morphine, oxycodone) to cannabinoids (marijuana). Though some of these drugs are legal to obtain and possess, they become banned substances under certain governing bodies and during certain competitions. Athletes caught using said products lose their titles, prizes, participation rights, and sometimes their sponsorships. The World Anti-Doping Agency (WADA), an international independent agency whose mission is to lead a collaborative worldwide movement for doping-free sport, maintains a running list of these prohibited substances and methods. WADA’s prohibited list isn’t utilized by every event. In fact, the numbers of races that don’t have any particular PED rules or regulations vastly outnumber the competitions that do follow a strict WADA protocol that entails drug testing and penalties if caught. EPO – A hormone that produces red blood cells. This improves oxygen delivery to the muscles thus improving endurance performance. Steroids – Testosterone and its derivatives promote muscle growth, strength, bone mass, and possibly increased red blood cell count. Insulin – Improves stamina by enabling the user to load the muscles with glycogen (fuel) before and between events. HGH – There is limited evidence that HGH improves athletic performance. However, it’s often used in tandem with other drugs because it increases lean body mass, decreases body fat, and builds connective tissue (especially in older athletes). ECA or EC stack – The combination of ephedrine, caffeine, and aspirin (which can be omitted based on tolerance) brings about weight loss without a loss in muscle mass and also acts as a stimulant. Ultrarunners are only human. We struggle with ailments including arthritis, back, muscle and nerve pain, diabetes, asthma, hormone imbalances, depression, and glaucoma. We are required to take medications to control these issues. However, many of these drugs can be construed as PEDs. It might surprise many ultrarunners to learn that a puff from an inhaler or joint and many of the pills and potions prescribed by your doctor can be considered performance enhancing depending on the elixir and its dose. Let’s be realistic, though. We’re not going to cease necessary prescription-drug use so we can participate in an event. Even WADA accounts for this beneficial drug use by issuing therapeutic use exemptions (TUEs), when needed. This approves and authorizes an athlete competing in major amateur and professional sporting events to use prohibited substances that are necessary to maintain their wellbeing. The list for positive tests in track and field and road running is long and growing. In 2013, The New York Times published an article that indicated, “Far more athletes are doping than might be imagined.” The article shared that during 2010 less than 2% of the drug tests performed by WADA came back positive. In 2011, more than 2,000 track and field athletes were asked to complete an anonymous survey on doping. Twenty-nine percent of the athletes in the 2011 IAAF World Championships in Athletics and 45% in the 2011 Pan-Arab Games admitted they used PEDs. This is a jaw-dropping discrepancy. Where does this leave the sport of ultrarunning? Comrades and Two Oceans Marathons, two large ultramarathons in South Africa, have both had winners test positive. 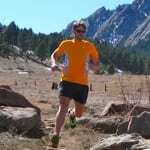 On June 16, 2015, I asked the ultrarunning community to participate in a cursory one-question, yes-or-no answer anonymous survey: Have you ever used a performance-enhancing drug (PED) while training for or participating in an organized ultramarathon (a running/hiking event/race of 50K in length or longer)? For the purposes of this survey PEDs include: testosterone, any steroid derivatives, blood doping, ephedrine, prescription painkillers or narcotics, insulin, erythropoietin (EPO), human growth hormone (HGH), marijuana, or (meth)amphetamine. In the end, 705 ultrarunners responded of which 9% have used PEDs. Maria Bak 1997 Winschoten, Netherlands 100K World Champs Steroids http://www.arrs.net/Rejects.htmBanned for two years. Viktor Zhdanov 1999 Comrades Stimulant (ephedrine) Covered the final 10K in under 32’. Went from 15th to 2nd place in that time. Sergio Motsoeneng 2010 Comrades Banned substance Was also DQed in 1999 for running the race relay style with his identical twin brother. Lephetesang Adoro 2012 Comrades Steroids (testosterone) Read more here. Natalia Volgina 2013 Two Oceans Steroids (metenolone) Read more here. The distances ultrarunners cover, terrain crossed, conditions encountered, and our own unique physiology can blur the line between fact and opinion. For example, what really are the best training philosophies, race strategies, and nutrition regimes for a 100-mile event? We don’t really know the answers as success has been forged with a multitude of approaches. WADA, on the other hand, has created an extensive and definitive list of the drugs and procedures athletes shouldn’t be using in or out of competition. But where do we, as ultrarunners, draw the line? Are listening to music and using trekking poles performance enhancing? How about using a pacer or crew? What about cortisone and platelet-rich plasma (PRP) injections, weekly massage and chiropractic work, living at altitude, living at sea level, utilizing an Alter-G anti-gravity treadmill or altitude tent, having access to good healthy food, taking an IV after an event, and using supplemental oxygen? As long as people differ in opinion there will always be a debate as to what the limit is on performance-enhancing advantages. Ultrarunning has certainly experienced its share of growing pains. Today, events are flourishing, prize purses have grown and athlete-sponsorship opportunities have increased. PED use has become a hot topic of discussion due to these added incentives. Are we ready to police for PEDs in U.S. ultra events? Do we have the resources? Are we ready to add this component to a quickly growing sport when we don’t know how the majority of ultrarunners and race directors perceive the PED question? Those that face the greatest impact of a strict anti-drug policy are race directors and the athletes. It’ll ultimately be their voice that dictates the discussion of whether drug testing at more ultras should take place or not. With 8.5% of the American population diagnosed with asthma, more than 9% dealing with diabetes, 12% developing thyroid problems, 25% of men over 30 with low testosterone, 40% battling cancer, and 70% currently using prescription drugs, we can be fairly certain that PED use is occurring in every ultramarathon in the U.S. due to medical necessity. However, PED use alone isn’t the problem; dishonest intent, taking drugs when they aren’t needed, is the key issue at hand. Using PEDs becomes this Armstrong/Salazar debacle when taken for the sole purpose of getting ahead and when used in an event that strictly prohibits it. Until the day comes, if it ever does, when drug testing becomes the norm for prestigious ultra events in the U.S., we must simply continue to do what we’ve done up to now: trust our fellow ultrarunners. Before you comment to this article, please refer to iRunFar’s comment policy. Note that comments to this article will be moderated. We may edit or remove comments or portions thereof when iRF comment’s policy is not followed. You are welcome to write in disagreement or debate with the author, or with other commenters to this article, but you must do so in a constructive, respectful manner. You may not make unfounded accusations about any runner and PEDs. We are proud of the engaging, intelligent, respectful discourse that takes place in the comments section of iRunFar’s articles. Now more than ever, we need that to happen here. Thank you. Given the lack of a governing body and a more stringent anti-doping testing regime, what do you think ultrarunning as a community needs to do to keep ourselves ‘clean?’ How to we establish and keep that trust to which Ian refers? What did you learn from this article that you didn’t previously know about PEDs or their use?
" Tarawera Ultra – Anti-Doping Policy and Statement. 2. No athlete that is currently serving a sanction for violating sports anti-doping rules may enter the Tarawera Ultramarathon or Tarawera Trail Marathon &50km. 3. No athlete that was issued a sanction between 1 January 2013 and 31 Dec. 2014 for violating sports anti-doping rules may enter the Tarawera Ultramarathon or Tarawera Trail Marathon &50km until 1 Jan. 2017. Race management will provide anti-doping education to our participants, in conjunction with Drug Free Sport NZ. Considerable resources for athletes, coaches and support staff is on the Drug Free Sport NZ website: http://drugfreesport.org.nz/ "
The main reason for the policy is 1) to state firmly that our event is against the use of PEDs in our sport and 2) to reduce the chance of a known drug cheat from turning up on our start-line and ruining the reputation of our event. Point #2 has happened recently in a New Zealand cycle race. A currently banned professional cyclist turned up to a large New Zealand road cycling race as an age grouper, won the race as fastest non-elite rider and won a brand new car. That race had no rules preventing him from competing. I would encourage all trail ultra event organisers, for both large and small events, to at least formulate an anti-doping statement and make it known to your athletes. Having said all that, the big roadblock for us comes with testing. It is currently beyond our financial budget to test and beyond our ability to randomly test out of season (our preferred option) since many of our highest ranked competitors may be spread across several countries. Notwithstanding that, Drug Free Sport NZ are willing to help us in some capacity if we ever do decide to test. I have a couple of points, particularly around PED use and avoidance in non-elite ultrarunners. If drug testing becomes more common, then it is more likely to affect the non-elites as well as the elites, and I suspect that there are a few problems here. 1. The ITRA claims to be a governing body for trail-running, although it is not clear how well accepted they are. What is their stance on PED. I believe that they have close connections with the UTMB organisers, who do have an anti-PED policy. 2. While I understand the issue around PED use in elite athletes, there is likely to be a lot of accidental / non-abusive PED use going on amongst most trail runners, as Ian states in the article. The procedures around TUEs is opaque at best (for example, for the UTMB races a couple of years back, one was directed to a french website listing banned drugs, and those for which TUEs were available – but it was very hard to work out what the drugs I had been prescribed in the UK mapped against). Then you need to get a TUE.. I've just looked up the Asthma TUE documentation, which would include any hay-fever medication. It's an 11 page document written in medical jargon. Basically you have have to have a specialist medical report (ie from a specialist in the field) with a whole bunch of lab tests to even apply for a TUE. I can't see anyone outside the elite going down this route. 3. I know ultrarunners (average folks, not elite athletes) who ask their doctors to alter prescriptions to avoid drugs which be considered PEDs. For example, many of the more effective hay fever remedies are steroid based, as are many drugs prescribed against excema-type skin conditions. It can't be good that people are potentially putting their health at risk because the effort of navigating the TUE system is too hard. 4. A light weight TUE type system for non-elites might seem very sensible at first sight, but in practice there would be significant data privacy issues. Medical data is generally considered to be very sensitive (with good reason). Put bluntly, Ultra races don't have either the expertise to secure this data, or the cash to pay some-one to do it. I would like to see any evolution of PED testing in ultrarunning targeted at elite runners only. Maybe it should be as simple as "If you start in the elite category, you are subject to random drugs testing. If not, then you won't be. " Something I thought about was that marijuana is on the list for a during performance enhancer but alcohol is not. I feel that both substances have very similar effects to the body and mind. And this thought reminded me of when I heard that Kilian took a shot of tequila at the 2014 Hardrock (not sure if it was true or not). They do not have similar effects on the mind or body.